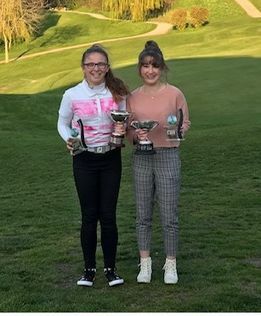 Here are Ciara and Millie who received their trophies from County President Janice Hazeldine. Well played everyone - here they all are! 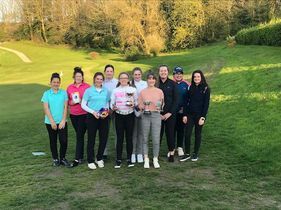 Our grateful thanks to Boyce Hill GC for hosting the event, the greenkeepers, clubhouse staff, all the helpers on the day and Graham Burroughs PGA. 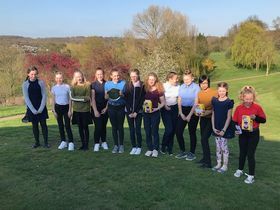 Many thanks also to the Society of Lady Captains of Essex Golf Clubs (Past & Present) for their generous donation and memento trophies for the Girls’ Championship.